Olympic Mountains, the Puget Sound & breathtaking sunsets are the backdrop for this timeless two story. 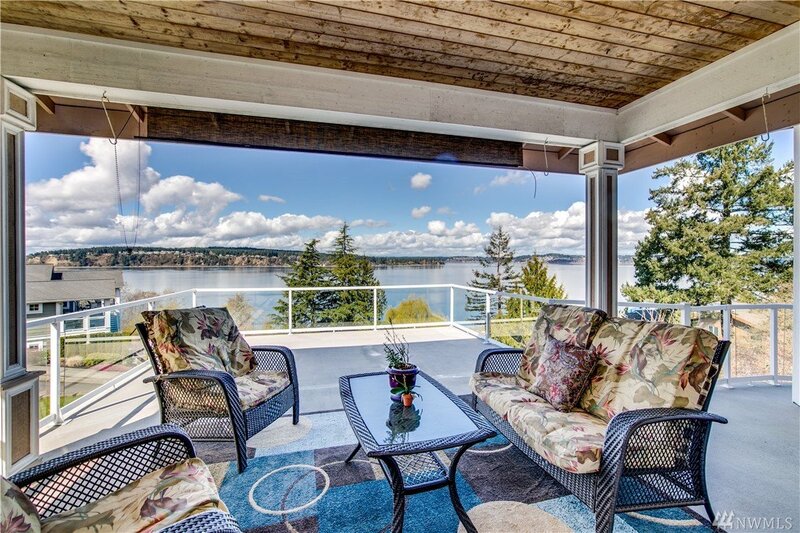 Take in the west facing Puget Sound views right in the heart of coveted Chambers Bay, nestled seconds from the golf course, walking trails, & community beach access! Master ensuite features Jacuzzi tub, fireplace, private balcony, & spacious walk in closet. Gourmet chefs kitchen boasts stainless appliances, wine cooler, walk-in pantry, & opens directly to great room & covered outdoor living. MLS #1430854 | Listing provided by NWMLS & Hawkins Poe. Disclaimer: The information contained in this listing has not been verified by Hawkins-Poe Real Estate Services and should be verified by the buyer.